NOW IS THE TIME TO HONOR THOSE WHO DIED FOR OUR FREEDOM. 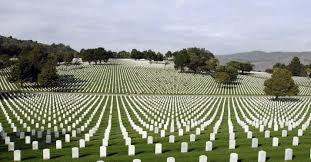 This is Memorial Day weekend, a national holiday for most people; a time for outdoor fun, recreation, picnicing and travel but in reality....Memorial Day is the time to honor our Veterans, those who gave the ultimate sacrifice---their lives--- to keep All AMERICANS FREE. Recently, I discovered an internet site with a surprising collection of original poems...all written FOR AND ABOUT soldiers. What beautiful thoughts and straight-from-the-heart writings...some even written by those who proudly served in our military. I'm sharing several with you now....and hoping you will be inspired to share these original expressions of love..with others. We must never take our Freedom For Granted...it is priceless. There is honor in A Soldier you hear it when he talks. There is loyalty in A Soldier that he will not compromise. There is strength in A Soldier that beats from his heart. A Soldier is the soul of that man buried deep inside of you. A Soldier is always A Soldier even while he sleeps. A Soldier has to sacrifice what comes first in a civilian's mind. next time you see A Soldier remember what they do. A Soldier is the one that is brave protecting you and me. Thank God for EVERY SOLDIER Thank God for what YOU do! I turned to my father, “what happened?” I asked. he began to explain and his eyes became moist. for an old veteran like myself this is tough to see. an honest-to-God hero, an American soldier. and I honor his sacrifice as he’s laid in his grave. please remember him son, as you grow old. if not remembered, will be lost in vain. it seemed as if his heart were broke. and when he returned I thought nothing more. and I didn’t care about why he was sick. to realize that I had it because of dad. and it hurt so bad I cried out loud. and his battle scares were suffered for me. thank God I finally understood what he had to say. and I thought about the medals pinned on his chest. and I pledged that day to never again forget. I’m honored to be the son of an American soldier.